With Roxio Copy & Convert 3 you choose exactly how you want to enjoy your movies and music. It includes everything you need to copy, backup, and convert your favorite movies and music to play on portable media players, mobile phones, the web, CD, or DVD. All within a single intuitive interface! With support for popular video and audio formats, Roxio Copy & Convert 3 lets you import just about any video or music and automatically convert it to the format of your choice. Disc Gallery allows you to find the content you're looking for without inserting every disc in your collection into your PC drive. Roxio Copy & Convert 3 includes all the essentials you need to copy CDs, DVDs (non CSS encrypted) and even Blu-ray data discs. It includes support for copying unprotected home DVD movies and music CDs. 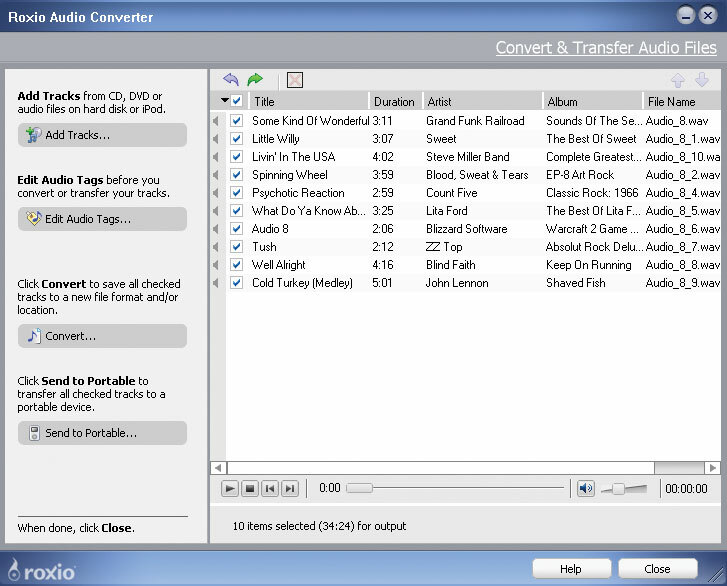 Roxio Copy & Convert 3 lets you easily copy and transfer music and videos from your PC to iPod. You can even move unprotected music from iPod to a new PC.